Just because you’ve been turned down for balance transfers and personal loans, it doesn’t mean you’re destined for bankruptcy. We owe more than $1 trillion on our cards. That’s enough to buy every NFL, NBA, NHL, and Major League Baseball team in the country. Nearly two-thirds (over 65%) of us carry monthly balances. We’re paying the credit card companies staggering interest rates each month. We owe enough to buy our families food for a year. The average household owes more than $16,000 on their credit cards. And while a common narrative is that people run up credit card balances with frivolous spending, the reality is that most people facing challenges with debt didn’t have any other options. Stagnant incomes, rising prices and the ever-increasing cost of living is leaving millions of Americans living paycheck to paycheck. Then, when a disaster strikes, these individuals are forced to go into debt just to stay afloat. An easy way to slash your sky-high interest rates is to get a balance transfer card. This lets you combine your high interest cards into one low interest card. But there’s a catch. If you have a low credit score, you’ll probably get denied. Next you can try a personal loan. The interest rate for a personal loan can be about half what you’re paying on your current cards. So, use the loan to pay off the cards. But again, if your credit score is low, you’ll get denied. For FICO, a low credit score is 300 to 579, a fair score is 580-669, and a good score is anything above 670. Exceptional credit is revered for those between 800 and 850. Where do you stand? If you get denied for credit or a loan, go to Debt.com for a free consultation and proven solutions. We’re here to help you get approved in no time. When you tell us your circumstances, we introduce you to the perfect debt solution company for you, and we make sure you’re happy with the results. Collectively, we have more than a century of experience in the personal finance field. Our one-stop shop makes it simple and safe. We match people seeking debt solutions with companies they can trust. How can you trust them? Those companies sign our code of ethics and we constantly monitor our clients’ satisfaction. Get out of that high interest rate debt today. Call Debt.com now, because when life happens, we’re here for you. That’s the type of situation that Diane faced after she lost her job. She was out of work less than two months, but as a single-mother of two she was already stretched thin with no emergency savings to fall back on. So, when she her company laid her off, all her bills, groceries and other necessities went on credit because it was the only choice she had. It was a major setback that she’s still working to recover from. Don’t wait to get the help you need. 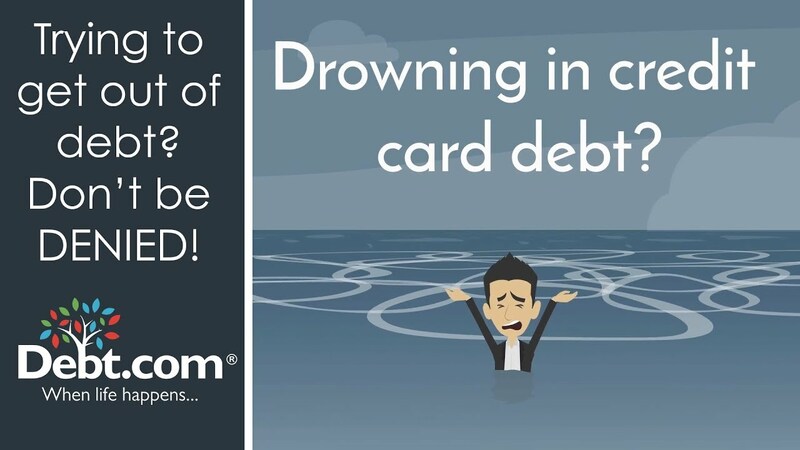 Talk to a certified credit counselor to find the best way to pay off credit card debt in your situation. Once she got a new job, Diane was optimistic that she’d be able to catch up. But getting ahead of her credit card debt proved to be harder than she’d anticipated. Her new job was covering all the expenses in her budget, but there wasn’t much left after that. She didn’t have any extra cash to make more than the minimum payments on her credit cards. And anytime an unexpected expense came up, she was forced to put that on a credit card, too. So, instead of regaining stability and control over her debt, her balances were slowly getting higher. Things got worse in 2017 when interest rates started to rise. The Federal Reserve raised interest rates three times in 2017 and another four times in 2018. Since almost all credit cards have variable interest rates, consumer interest rates gradually increased. And anyone with high balances like Diane also saw their monthly minimum payment requirements increase as well. As a result, Diane was forced to start juggling bills just to make ends meet. There were some months where she just couldn’t keep up with everything. She finally realized that her strategy wasn’t working and that she needed to find a solution. So, she started to look into debt relief options online. That’s when Diane ran into another problem that her challenges with credit card debt had created. She’d only missed a few payments on a few credit cards, but those little missteps had dropped her credit score by over 100 points. She got rejected when she applied for a balance transfer credit card. Then she got rejected on a debt consolidation loan, too. Nobody was willing to extend her any new credit, so any do-it-yourself solution was off the table. If she wanted to avoid bankruptcy she needed help. This isn’t an uncommon situation. Only 30% of Americans have credit scores that are considered excellent (750 and above); another 13% have score that are considered good (700-749). But that leaves more than half of Americans (57%) with fair-to-poor credit ratings. 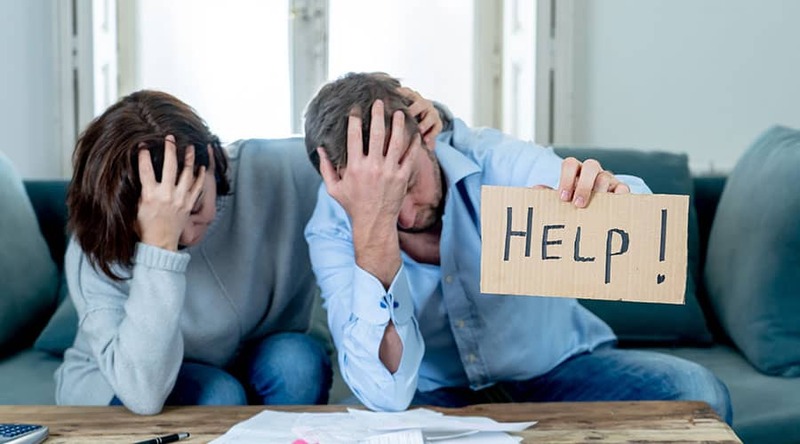 So, while do-it-yourself debt solutions exist, they don’t work for a large percentage of the population who don’t have the credit score necessary to qualify. How long will it take you to become debt-free? Use our free credit card payoff calculator to see how long it will take you to pay off your debt with minimum payments. Diane worried that she was headed for bankruptcy, which would just set her credit back even more. But after seeing a commercial for Debt.com, she decided to make one last attempt to find a solution. She spent about 30 minutes on the phone with a representative reviewing her situation. By the end of the call, she had a solution that would pay off her debt. It wasn’t going to solve her problems overnight, but she finally had peace of mind that she’d be able to become debt free without going through bankruptcy. We don’t just offer one solution – in fact, we don’t actually offer any solution directly. Instead, we work with a range of accredited financial service providers, so we can match you with the best solution for your unique financial situation. With one simple, free consultation with one of our debt resolution specialists, you can develop a customized plan to get out of debt that fits your goals.